The Boy Genius was close when they claimed that Palm was going to be releasing it on June 7 for $199.99, but they didn’t quite get the date right. Finally, Sprint has officially announced that the Palm Pre will be released on June 6 for $199.99 (after $100 mail-in rebate). Another surprise to me is that the announcement was indeed made on May 19 which was claimed by a Boy Genius tipster on May 11. Although it wasn’t done through the Wall Street Journal as their source claimed, it was instead done through a press release (After writing this I learned that I was mistaken, there was a full page ad in the Wall Street Journal). The device will be available from Sprint, Best Buy, RadioShack, and select Wal-Mart locations, it will require a 2-year contract and the Everything Data plan ($69-$99) or the Business Essentials plan. The Boy Genius Report has also heard that Sprint stores will be closing early on June 5, at 4:00pm, to get ready for the launch the following morning, during the closed hours the store will likely be covered in Palm Pre displays and signs for all the customers to see when they show up for their purchase at 8:00am June 6. This release will come just two days before Apple is expected to announce their next generation iPhone. I’m not sure if this is the right move from Palm but I’m not sure if they had any better release date options. It is possible that Sprint will get a ton of new subscribers, although it is also very possible that customers will just wait the extra two days to find out what Apple has to offer, and potentially end up purchasing the new iPhone instead. Either way I’m not really sure if I could have devise a better release date for Palm, I sure know that they couldn’t release it after the iPhone announcement. Sprint | News Release: Sprint to Offer Palm Pre Nationwide on June 6. Update 5/20/09: Best Buy will be offering the rebate as an instant rebate when purchased from their stores, so if you are planning to buy a Palm Pre, Best Buy is probably your best option. Update 5/21/09: For some reason BestBuy.com has the Palm Pre listed on their website for $849.99. The Boy Genius Report has dug up that there will only be 4,250 Palm Pre units across all Best Buy locations. After doing the math you will see that there will only be about 4 Pre’s per store. Update 5/27/09: PalmPreForumDotOrg’s YouTube channel has a slew of videos up showing various features of WebOS. The videos were made using a Palm WebOS emulator for the Mac, the emulator is (most likely) included in the WebOS SDK. Update 5/29/09: Crave claims that Verizon Wireless executive Lowell McAdam said that the carrier is expecting to have the Palm Pre sometime this year. Update 5/29/09: A Sprint spokesman says that they “have the Pre through 2009.” Although the quote never actually says anything about exclusivity, Palm Goon jumps to conclusions stating that Sprint has the Pre exclusively through 2009. This directly contradicts Lowell McAdam saying that Verizon will have the Pre this year. Update 5/29/09: The Boy Genius Report got their hands on the Palm Pre and had enough time to do a decent review of it. From what I read however the software version on their device isn’t the version that will ship next week. Basically they say the device itself feels a little cheap, the keyboard isn’t good, but the software works very well. I don’t know what all of you think but I’m actually excited about this device. Even though the Pre might not be the big hit device we all want it too, that doesn’t mean that Palm couldn’t come out with a better quality handset to run this great software on. 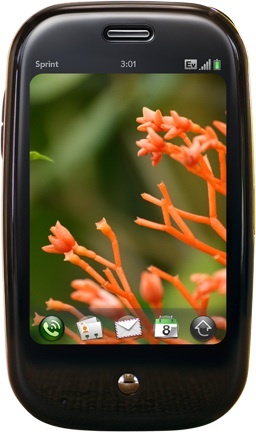 Update 6/4/09: Reviews have started to be released for the Palm Pre. So far I’ve found reviews by the following writers: Walt Mossberg, Joshua Topolsky, David Pogue, Jason Chen, Bonnie Cha, Steven Levy. Update 7/4/09: It seems that some Pre users are having a heck of a time with build quality, to the terms of being on their third device. This is something Palm will really need to work on, eventually the damage on their reputation will be been done and consumers will stop coming for their hardware. Update 7/23/09: The Palm Pre is now available to purchase online. Update 7/28/09: PreCentral.net is reporting that the $99 Palm Pre pricing was actually a Best Buy error. Update 7/28/09: CrunchGear is reporting that Verizon has confirmed in their most recent conference call that the Palm Pre will be coming to their network between Q1 and the end of Q2 next year. Update 8/3/09: Amazon is now selling the Palm Pre, the 2-year contract price is the same but the no-contract price is only $499.99.